The warmer, sunnier days of May are finally upon us and what better way to explore the outdoors than on a brand new bike? 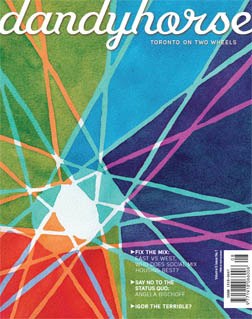 On Monday, May 30, 2011 dandyhorse magazine will officially launch our Spring 2011 issue in the Melody Bar at Toronto's Gladstone Hotel. A proud supporter of dandyhorse, Outdoor Gear Canada has generously donated an Opus Cervin bicycle and the only way to win this sweet new ride is by attending our launch party and purchasing a raffle ticket for only $5. Our latest issue of dandyhorse takes you on an exciting ride along Bloor/Danforth and introduces you to the people, places and neighbourhoods that make this one of the most unique and diverse streets in Toronto. And what better way to discover Toronto than on a brand new bicycle! Classic styling matched with the very best technologies. That’s our design philosophy with the Opus Urbanista program. Of course, we adapt that classic styling to fit today’s tastes taking inspiration from the extraordinary re-creations that have made today’s versions of the Volkswagen Beetle, Austin Mini and Fiat 500 classics once again. 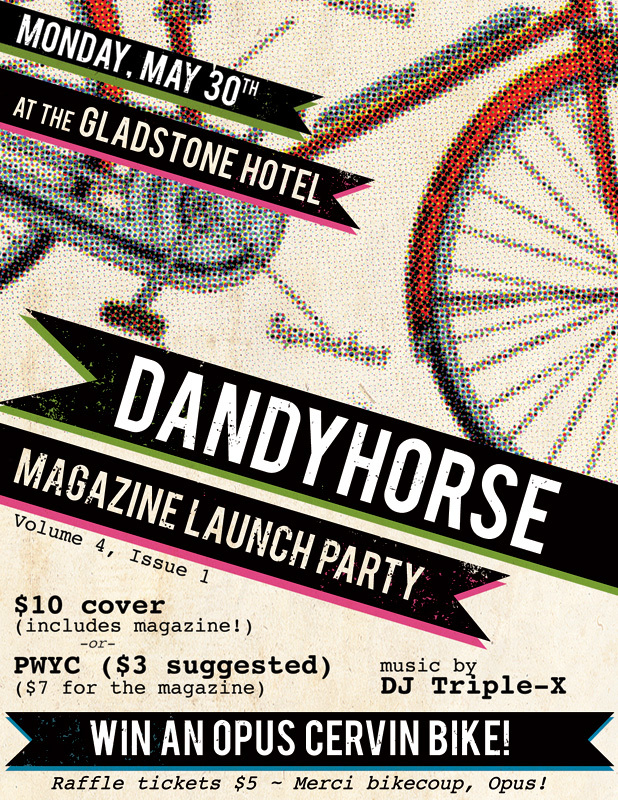 The Facebook Event Page: dandyhorse magazine spring launch party! dandyhorse Volume 4, Issue No. 1 rolls out in May. 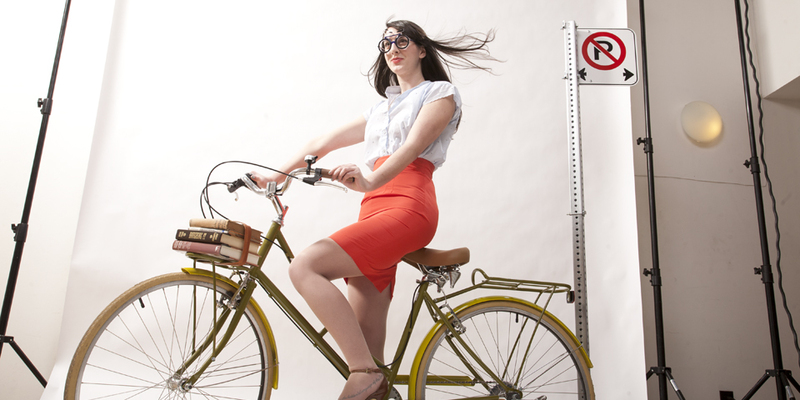 This is a sneak peak at some cycling chic captured in photographer Mike Ford's Toronto studio. This "lovely librarian" is off to return her books safely and in style, with the spring breeze in her hair and nary a care -- except for those late fines. Certainly, someone like her would never run a red light. Even though her skirt screams "look out!" she rides with caution. Conjuring the spirit of advice columnists Prudence and Delilah of dandyhorse Polite Pedaller fame, this photo shoot couples with our pedal etiquette experts to caution against distracted riding. Read more in our Spring 2011 issue of dandyhorse about the making of this bicycle spectacle ~ and how you too can ride safely and in style. Special thanks to Josephson's opticians and Biria bikes and model Casie Brown from Worn. Subscribe today to get dandy at your door! 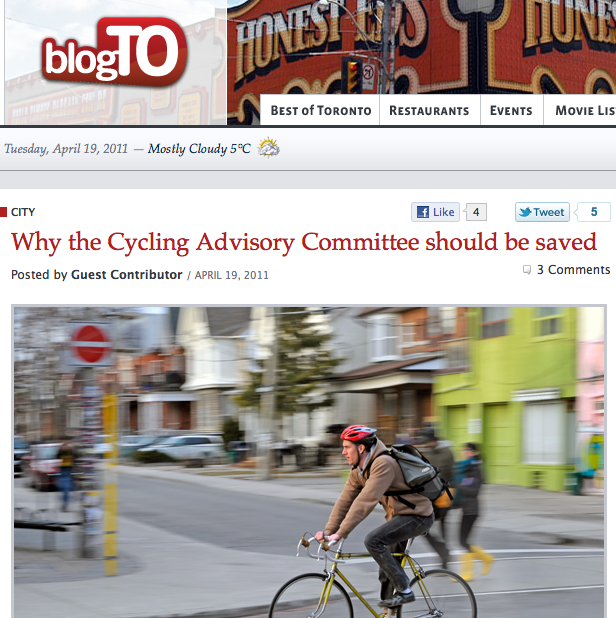 If you’ve lived and cycled in Toronto for a few years, you’ve no doubt heard of him. 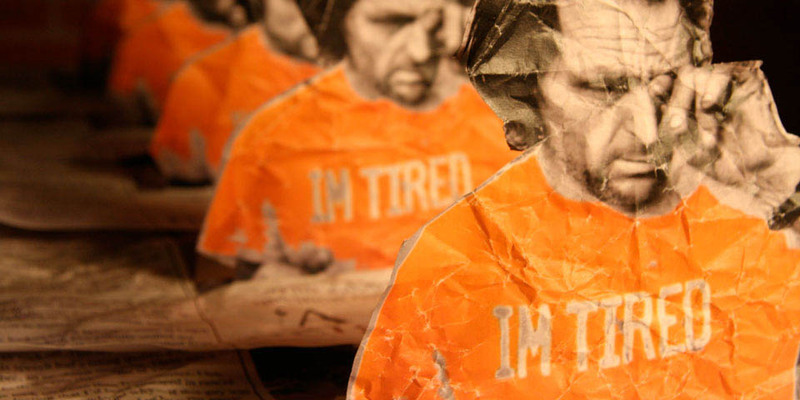 You will have seen the newspaper stories about his arrest and you may have even read the book about him. Now, get ready for KENK, the film. The experimental, documentary short film by the same people who brought you KENK: A Graphic Portrait (featured in dandyhorse Volume 3, Issue No. 1). I recently sat down with Craig Small, a Toronto animator, and Alex Jansen, the publisher of KENK: A Graphic Portrait, at The Juggernaut animation studio in downtown Toronto to talk about how they captured the city’s most notorious bike thief on film. After an hour-long conversion with Kenk at his bike shop, Jansen got the idea to film him in 2007 and brought on Jason Gilmore, a filmmaker and graphic designer, as a collaborator. That summer, for six weeks, Kenk allowed the two men to follow him around with a video camera. At the time, everyone suspected Kenk of dealing in stolen bikes, but he’d never been arrested. It wasn’t until the following July that Metro Toronto Police uncovered almost 3,000 bikes at various garages around the city, along with several kilograms of marijuana and a couple of ounces of cocaine. Police laid a total of 58 bike theft and narcotics-related charges against Kenk. READ MORE about the film; made with a mixture of live-action and stop animation to create a 15-minute documentary about the man who probably stole your bike. The FULL STORY, plus photos by Rebecca Baran, are featured in dandyhorse Volume 4, Issue No. 1 - May 2011. Subscribe today and get dandy at your door. The Toronto Coalition for Active Transportation, a project of the Clean Air Partnership, will host the Complete Streets Forum on Thursday, April 28, 2011 at the University of Toronto's Hart House. 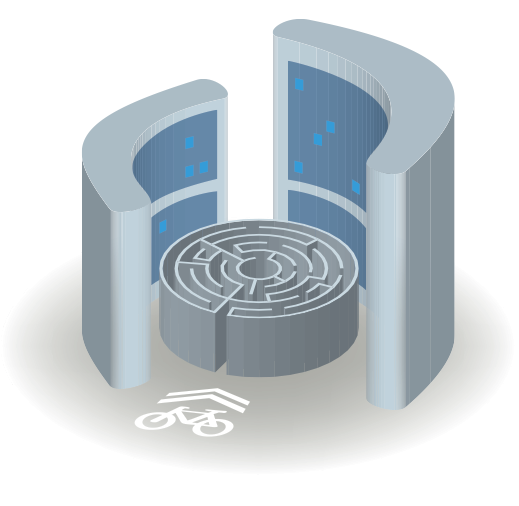 The theme of this year's discussion is "Building Alliances" dealing with the challenges facing all forms of transportation from bikes and walking to public transit and personal vehicles. The dandyhorse magazine team will be attending the event, handing out free magazines and offering a special subscription discount to all Complete Streets Forum registered attendees. Advisory committees provide an avenue for regular folks to get issues to council that are important to them, but might not be at the top of the political agenda. As a committee member I can work with staff over an extended period of time to help track projects and ensure that plans are actually implemented. Indeed, access to staff is the biggest boon of being a committee member to my mind. While some (including me) might say that keeping councillors and staff honest is our bane. I've been working with, and as a volunteer for many years now, and I have to say it's bad business to turn away good people willing to work for you for free. It's neither respectful nor cost-effective.